The tubs of queso — a product they spent months testing, and already tweaked once — posed an opportunity for at least minor redemption. 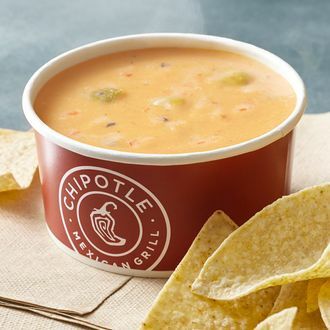 If that’s the plan, things are frankly going poorly: The all-natural dip isn’t meeting Americans’ admittedly low standards for queso, which can basically be summarized as “gooey Velveeta with peppers.” Chipotle’s stab at it reportedly tastes “grainy,” and doesn’t pair well with the salt-and-lime chips. The reviews right now are disastrous … and that’s almost being generous.